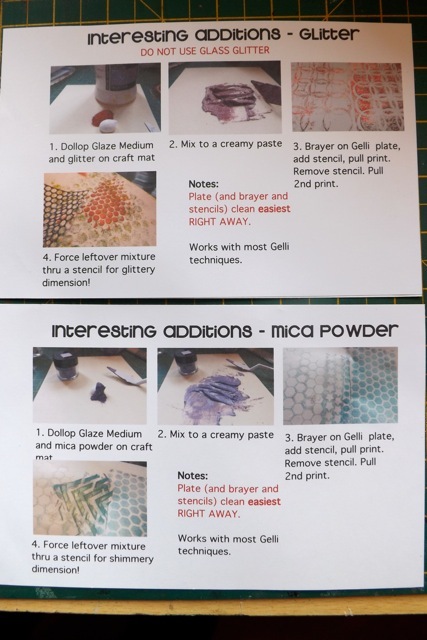 Still hoping that this idea might catch one and other Gelli Artists might take up the gauntlet and make their own versions of Gelli Recipe cards. Now I finally seen DS back off to Uni (thru my tears) this idea is one I will hope to follow-up on. 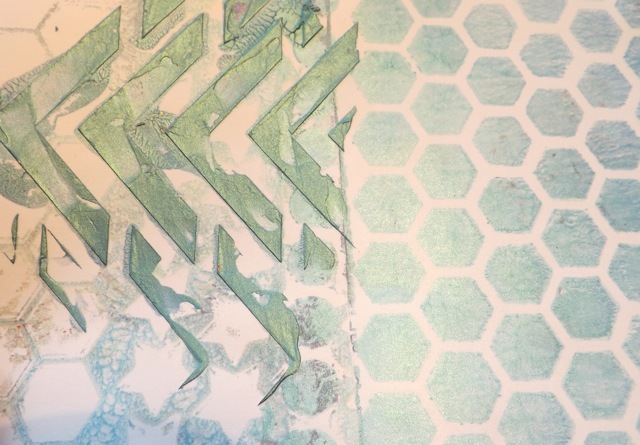 So if you are a Gelli artist at any level, and you think you have a technique to share, consider making a card! Frankly, the more the merrier and I am keen not to have to make every card for MY Recipe Book myself! Although one person I chatted to about this thought a download of the card template would be useful, since I use a weird little program no one else does, it would be a bit useless. What I will do is give what I HOPE will become a standard, so if I were to download other recipe cards they would still “fit” in my book. Why? Using a 5 x 7 inch blank (unlined) index card as the easiest base, this leaves 1/2 inch along one short edge for binding. The size ALSO works for 5 x 8 index cards. 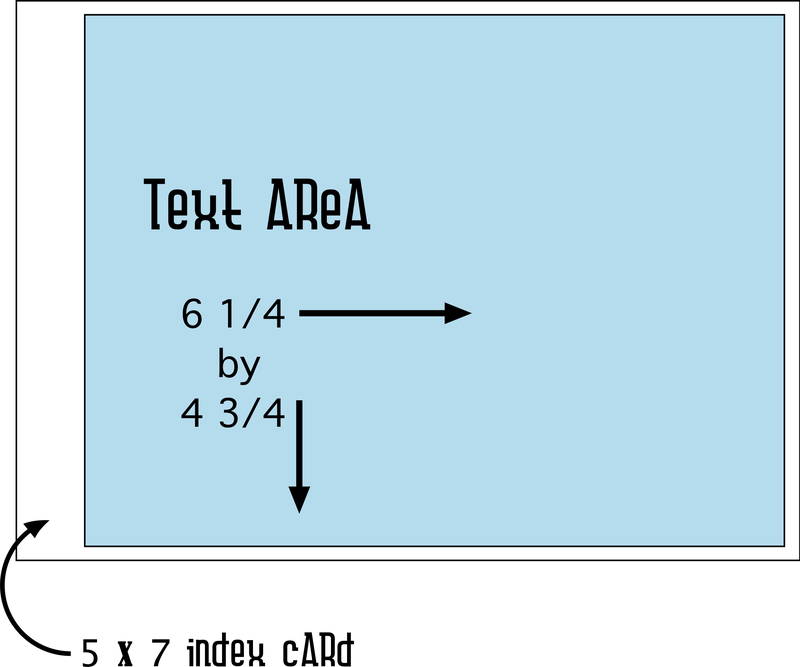 The downloadable recipe is printed on a 5 x 7 inch index card and a print is pulled on the BACK. 2. The recipe area should contain photos and text. Be concise. Add any notes you think people will need to know, but leave room for them to add their own notes. My hope is that although the photos are small, they will work with the text to give people enough info to have a go – actually making the sample for the back will solidify the technique. Other than that, I certainly am not going to impose any rules. Some of my cards are portrait, some landscape – it really depends on how much info I feel I need to communicate! Hands up, I admit I discovered a box ticked that constrained the proportions of my background boxes in my program. I didn’t notice till I was working on the ones I did today that the cards were not the right size. I am devastated. I can only plead mommy-tears clouding my vision as my not-so-little baby bird flies the coop till Christmas. Deepest apologies, and I will immediately correct the download from yesterday and add the right ones here. I hope people drop back by to get the right ones. Anyone fancy joining in? 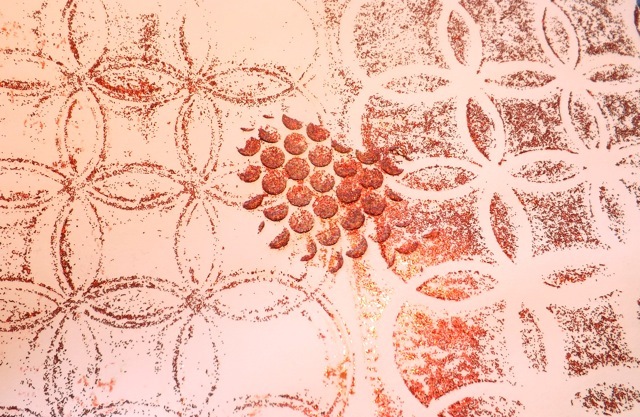 If you DO make a card, tag it Gelli Recipe Cards and comment here with a link. I’ll be adding a page in the top menu for Gelli Recipe Cards and will consider buying a Mr Linky if it turns out anyone other than me does them LOL! Now I am going to miss my boy a little bit more and watch a mindless teen-movie with DD. Categories: art, Gelli plate monoprints, Gelli Recipe Cards, printables, tutorial | Tags: Gelli plate, Gelli Recipe Cards, how-to, printables | Permalink.